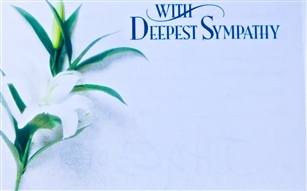 This sympathy card has an off white background with a lily flower on the leftside. 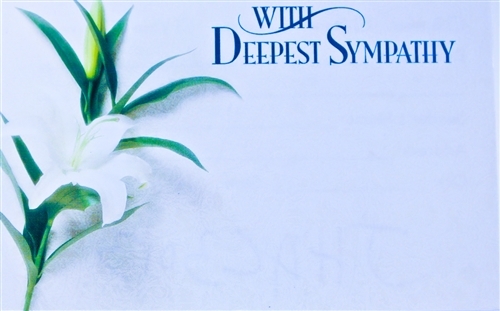 The text reads "With Deepest Sympathy" in top center of the card. This item has room to personalize. Name and address form of sender.